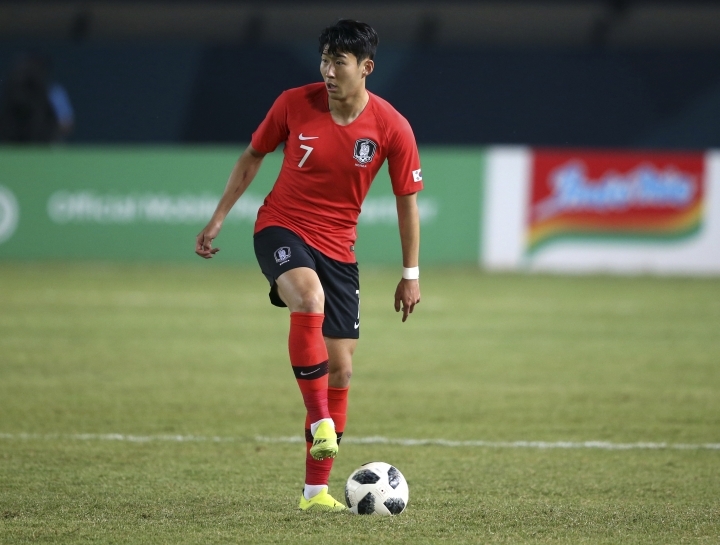 JAKARTA, Indonesia — Tottenham forward Son Heung-min took matters into his own hands to ensure defending champion South Korea progressed to the knockout stage at the Asian Games. An Asian Games gold medal would earn Son an exemption from compulsory military service in South Korea, so he's doing what he can to make it happen. Son wore the captain's armband and started at the Asian Games for the first time, joining Gamba Osaka striker Hwang Ui-jo and Gwangju FC forward Na Sang-ho up front. The Koreans had 12 shots but couldn't beat Kyrgyz goalkeeper Kalysbek Akimaliev in the first half. Hwang Ui-jo was replaced by Hwang Hee-chan at the break and the attack improved. Son finally broke through with a volley off a corner kick. South Korea went close to doubling the lead late but Hwang Hee-chan and Son' missed opportunities.